Today marks the fourth day of mass strike called by over 4,500 resident doctors across the state of Maharashtra. 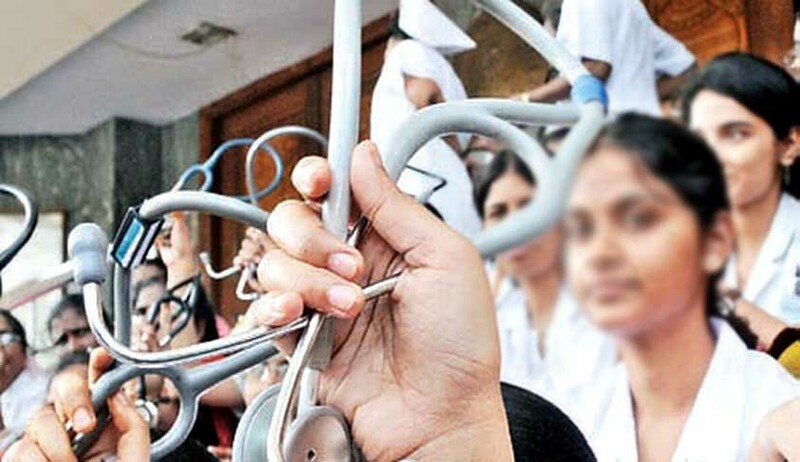 A division bench of Chief Justice Manjula Chellur and Justice GS Kulkarni of Bombay High Court urged doctors on strike to resume their duty immediately and asked respective hospital managements not to take any punitive action against them, if they resume duty. Petitioners and media reports claim that over 50 have died in 4 days, state is yet to confirm this figure. The court was informed by Advocate General of Maharashtra Rohit Deo that 1,100 armed personnel of the Maharashtra State Security Corporation will be deployed at hospitals in the state for maintaining law and order. Of these, 500 will be deployed in Mumbai hospitals by April 5. The rest will be deployed in the rest of the state by April 30. Among other measures to ensure safety of doctors, the court reiterated that not more than two attendants would be allowed per patient within the hospital premises. Although the bench had taken a tough stance in the previous hearing on March 21, not much has happened since then. The Indian Medical Association has lent its support for the agitation and with 40,000 members in Maharashtra, the agitation has certainly intensified. Prashant Phaphale, who appeared for the Maharashtra Association of Resident Doctors (MARD), assured the court with an undertaking that they would take steps to request doctors to resume their duty. Meanwhile, a fresh attack was reported on the SMO, Sion Hospital. Interestingly, as pointed out by The Hindu, the Maharashtra Medicare Service Persons and Medicare Service Institutions (Prevention of Violence and Damage of Property) Act, 2010, which has specific provisions to deal with such violence against medical practitioners, was not mentioned by either party before the court. CJ Chellur also reminded the members of MARD of the Hippocratic Oath taken by them and urged them to resume duty immediately. At the same time, the court asked the state government to ensure proper working conditions for its own doctors and said safety of doctors cannot be ignored. Finally assuring MARD members, the bench said progress in the case would be monitored every fortnight and kept April 6 as the next date of hearing.